A very emotional and heart-warming assembly was presented by the class XII students to sensitize everyone towards their parents and grandparents who nurture us with their sweat and blood but are unfortunately left alone in their old age. Parents are the strong foundation and pillars of strength for us without whom we cannot even take a single step. They are the incarnation of god on Earth who unconditionally love and guide us through thick and thin. 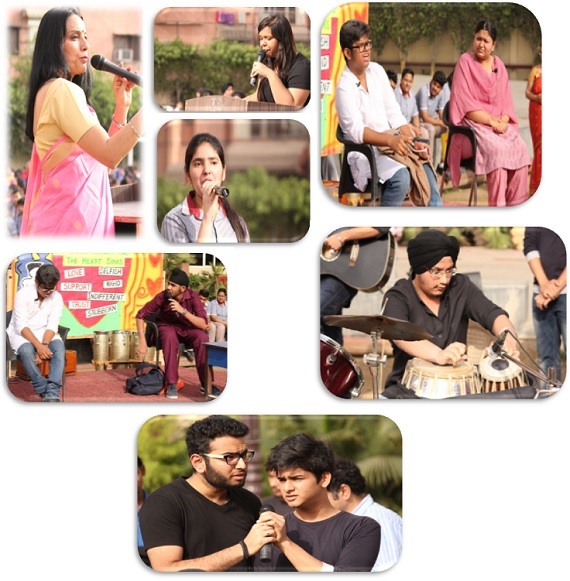 The students magnificently depicted the plight of the senior citizens staying in the old age homes who are forgotten by their children and are abandoned from their homes which throbs with their love, affection and care. The students vividly depicted a woebegone mother who eagerly awaits the arrival of her son to take her back to her house, but in vain as he never arrived and she died in desolation and despondency. This pain of separation haunts the elderly people till their last breath. The students through their enchanting performance made us realize the true worth of our parents and grandparents and their endless endeavors in making us what we are today.